If there's one major technological limitation that's slowing progress in a number of areas, including smartphones, it's probably batteries. More efficient power delivery in smaller cells would no doubt lead to some interesting advancements, and there are plenty of academics and companies around the world working towards better battery tech. You hear about potential new breakthroughs all the time (taking most with a pinch of salt), but Samsung believes it may have come up with a promising new battery material. Researchers at the Samsung Advanced Institute of Technology (SAIT), in collaboration with Samsung SDI and scientists from Seoul National University’s School of Chemical and Biological Engineering, have developed a ball made from graphene (a single layer of carbon atoms) that could advance battery technology in a couple of ways. Batteries made from the new material could charge five times faster than current lithium-ion cells. That would probably mean you'd be able to get a full charge on your phone battery in less than 30 minutes. Perhaps more importantly, graphene ball batteries could offer 45% more capacity, which could lead to thinner devices that can last longer on a single charge. 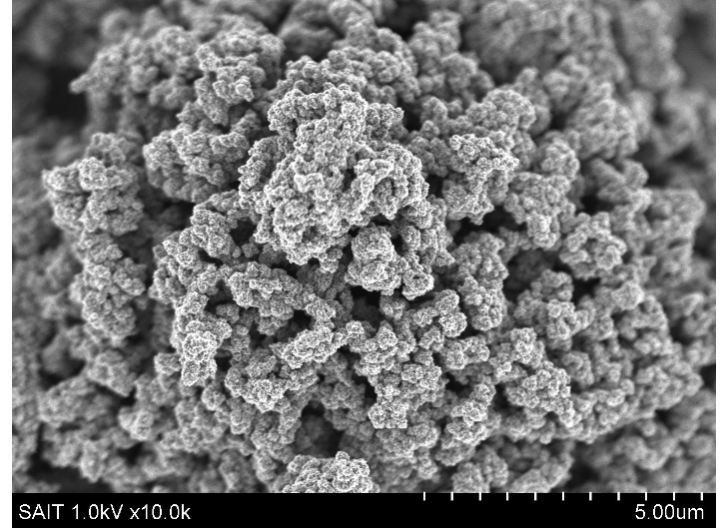 The material also exhibits the stable temperatures required for a healthy, long-lasting battery. It's still early days, so don't expect the Galaxy S9 to come with a crazy new battery. It might make for great news further down the line, though, and SAIT has filed for two patents relating to the new technology as it continues its work. You can read about the research in full over at the journal Nature, or check out the source for more from Samsung.